View More In Paper Ephemera & Cards. 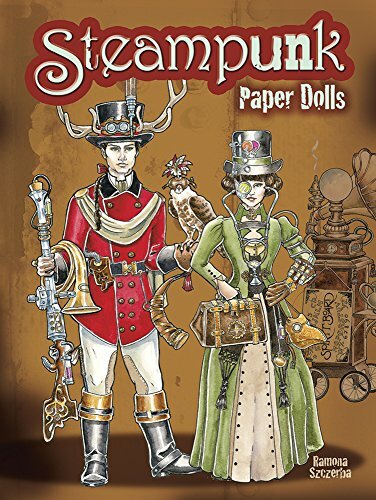 Transform these otherworldly paper dolls into a wild array of steampunk characters! From an intrepid Arctic explorer and a vampire hunter to a freewheeling airship mechanic and a treasure-toting pirate, these steampunk personalities are primed for adventure. Each of the four dolls comes with several imaginative outfits plus a full complement of playfully bizarre accessories, including equipment and animal companions. Captions identify each accoutrement. See inside for details of two bonus costumes, available online.